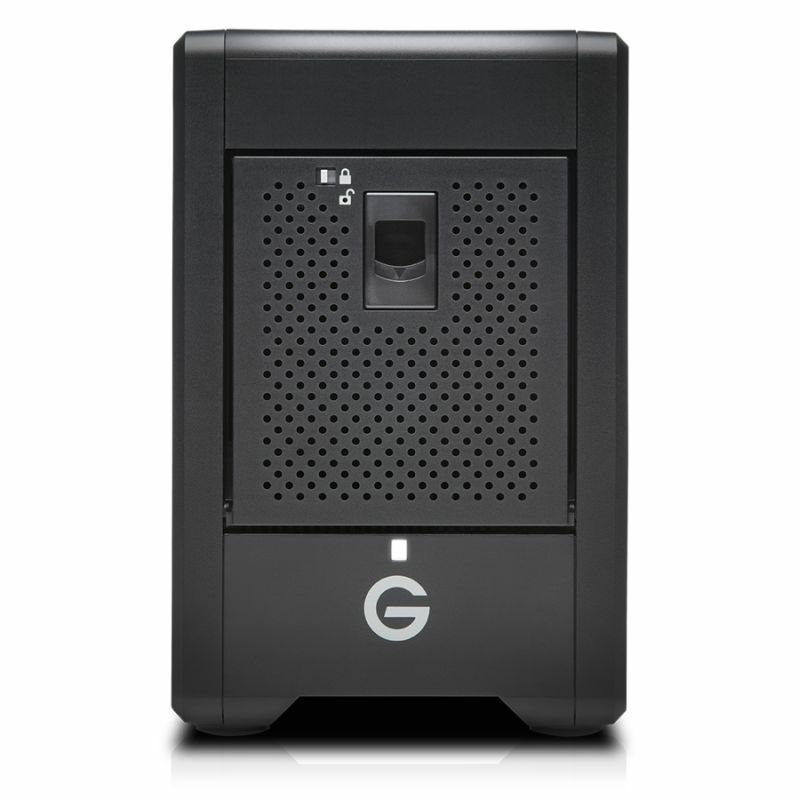 With 48TB capacity and transfer speeds up to 1000MB/s, the G-SPEED Shuttle with Thunderbolt 3 device delivers ideal storage for demanding workflows. 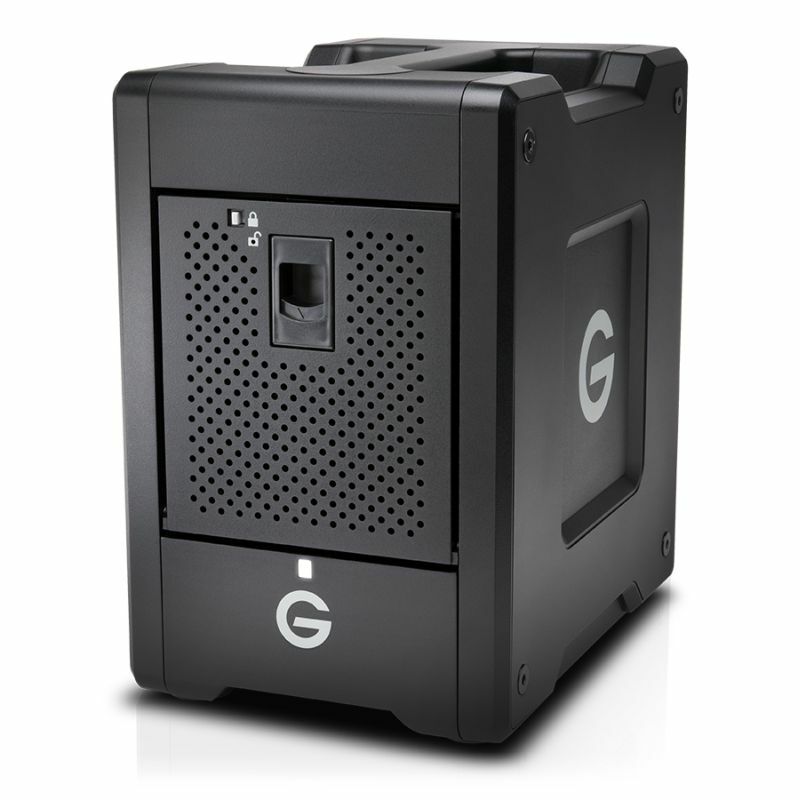 A transportable design lets you easily carry it on-location and back to the studio, and with optimized 4K and 8K support, you get the bandwidth to edit multi camera footage in real time, render multi-layer effects, and quickly export with incredible efficiency. 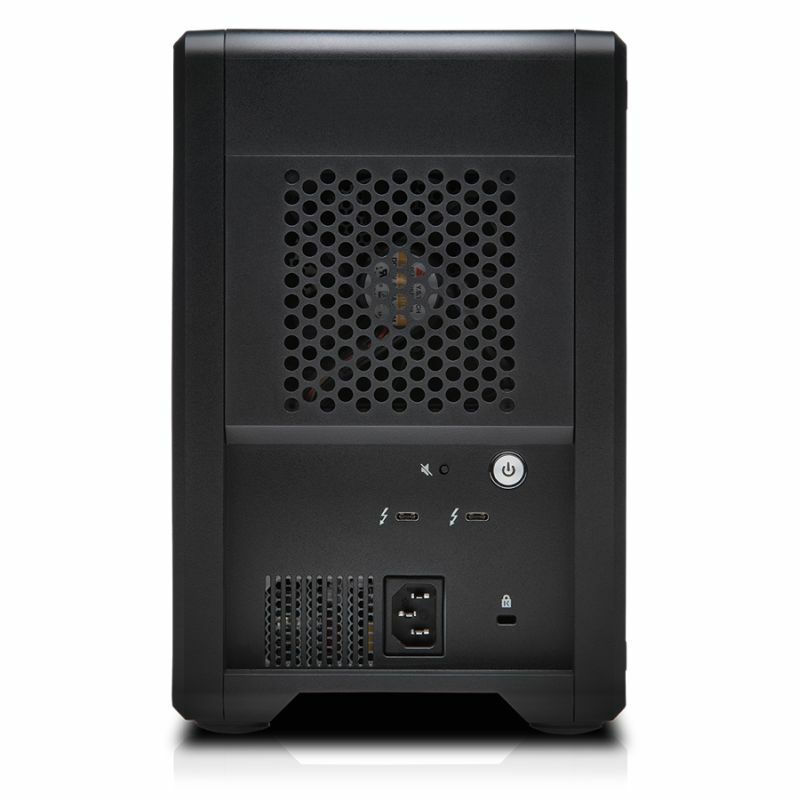 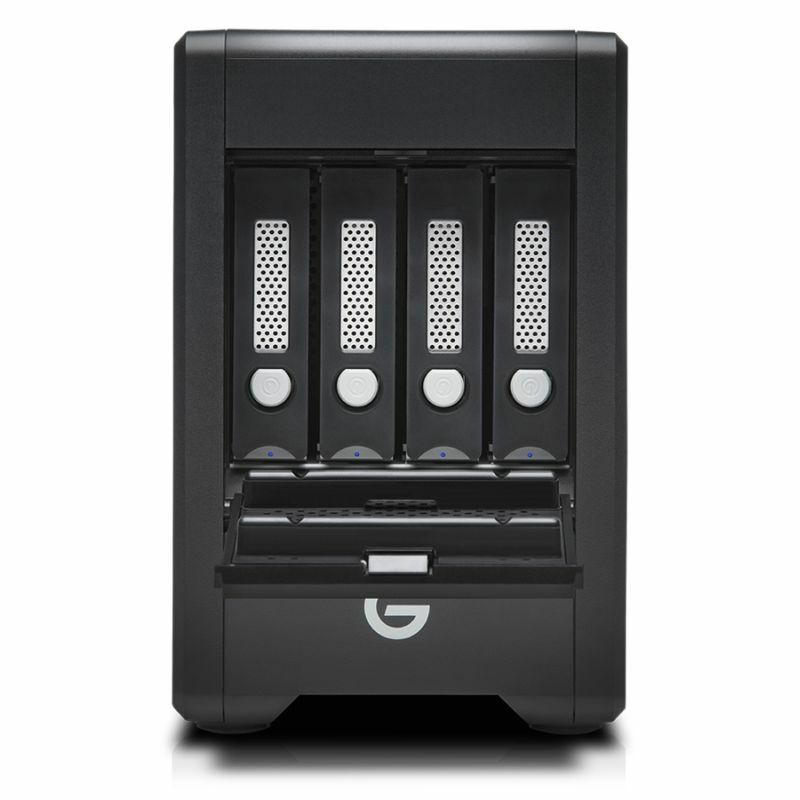 Built-in hardware RAID offers several backup options, while dual Thunderbolt 3 ports are ready for daisy chaining up to 5 additional devices. 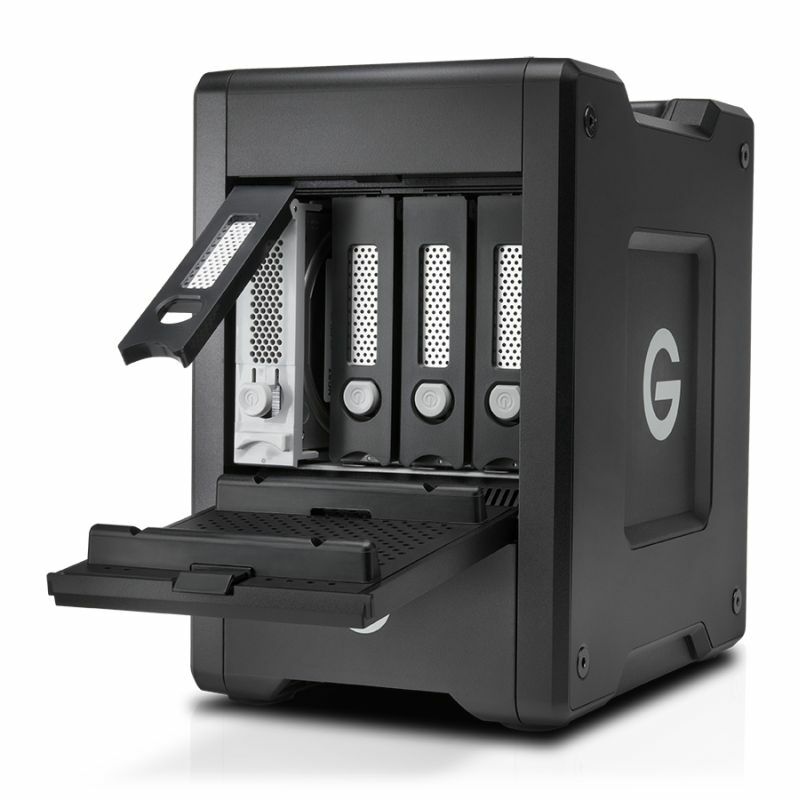 Combined with four bays of removable Enterprise-class hard drives for enhanced reliability and a trusted 5-year limited warranty, the G-SPEED Shuttle with Thunderbolt 3 device provides reliable, high-performance storage to scale with all your productions.